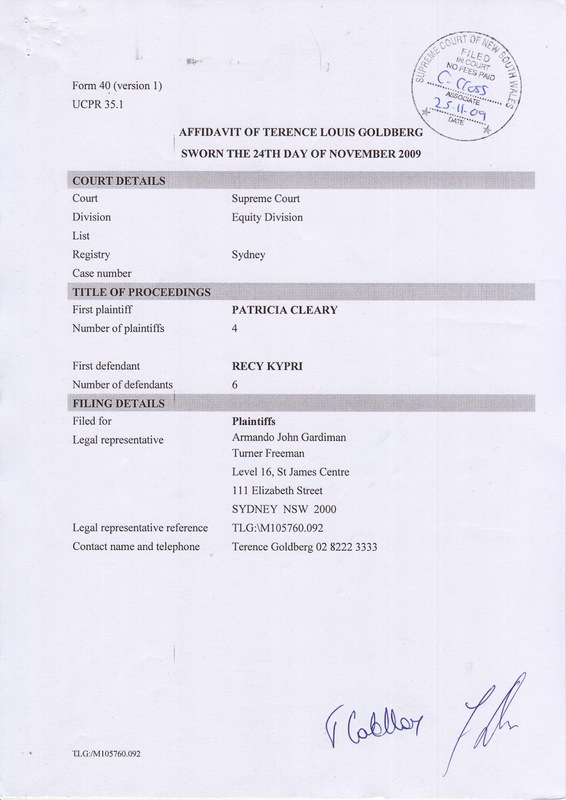 Note that Terence Goldberg states he acts for the four plaintiffs only. 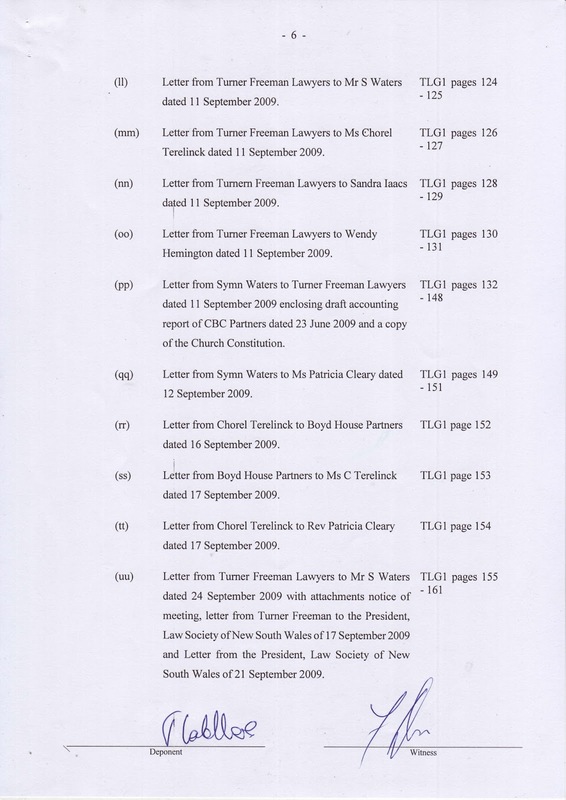 The sixth defendant was an unrepresented party in the proceedings. 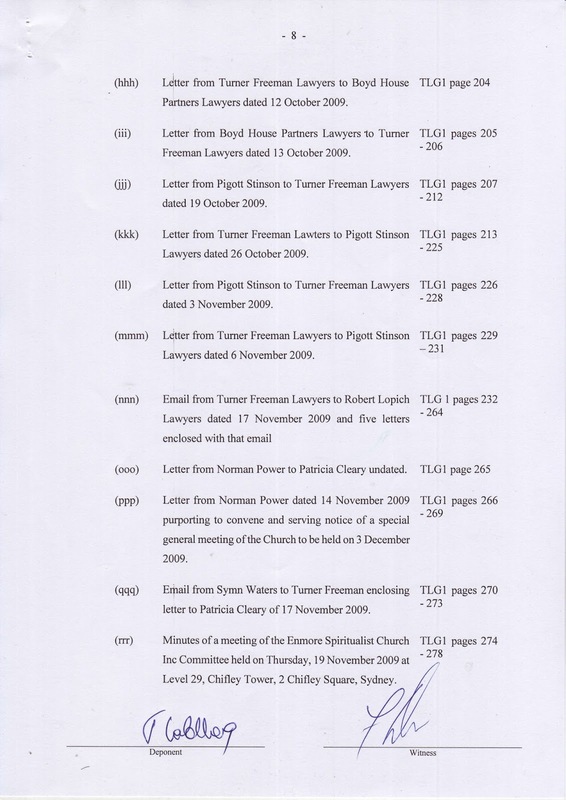 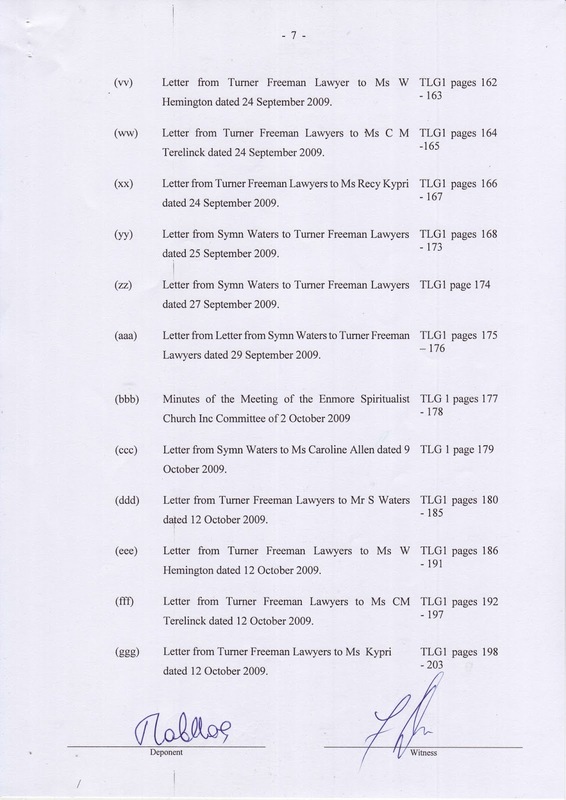 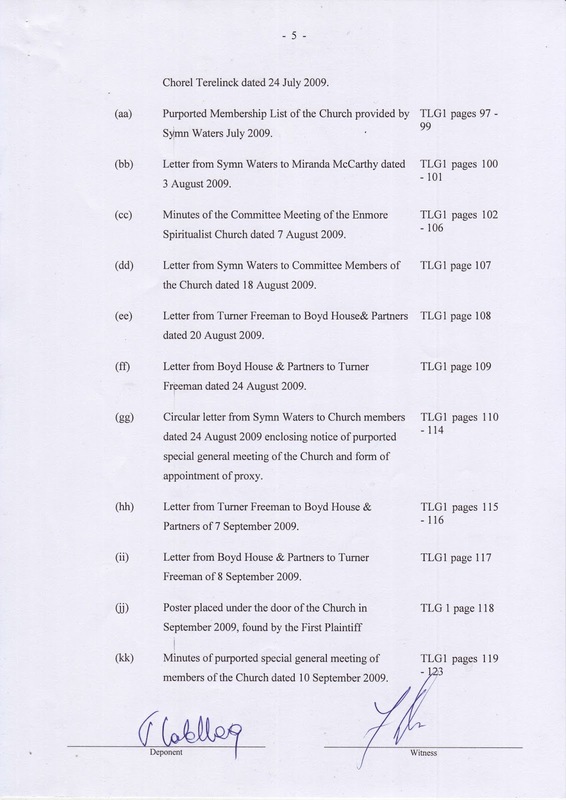 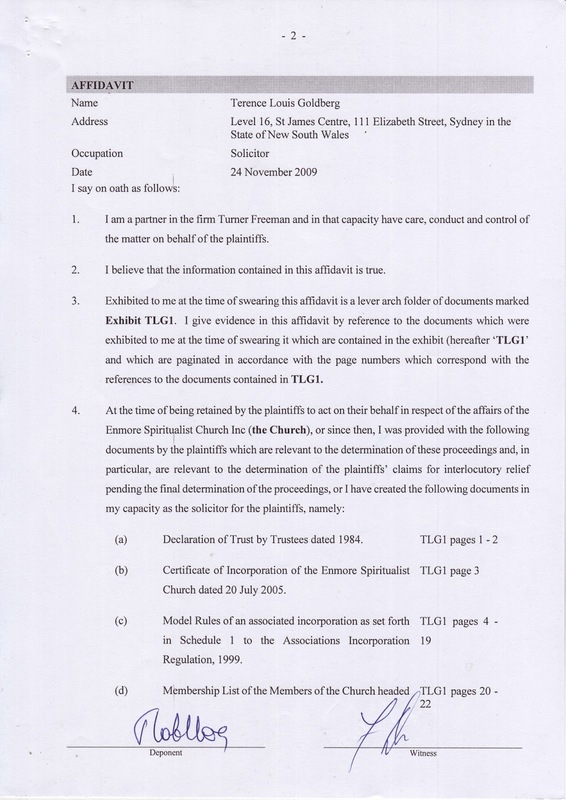 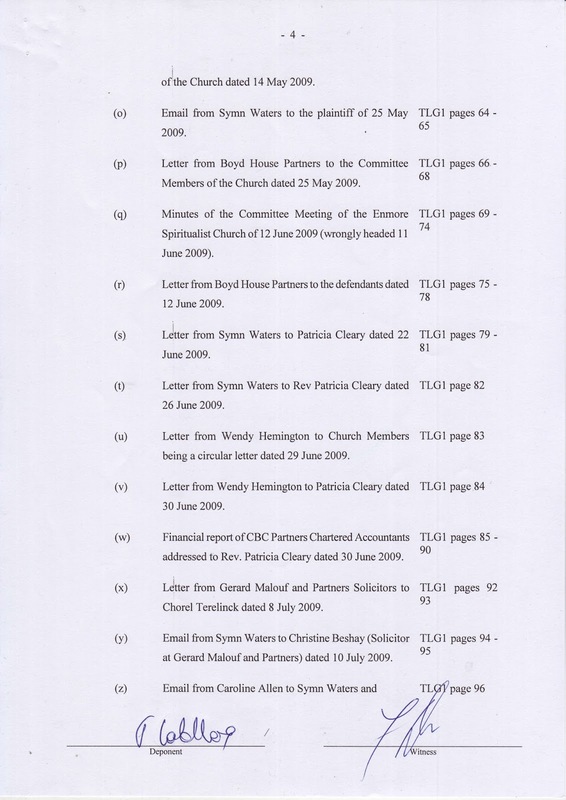 This affidavit of Terry Goldberg was provided to the Law Society of NSW by himself during an investigation into his conduct surrounding the church matter. 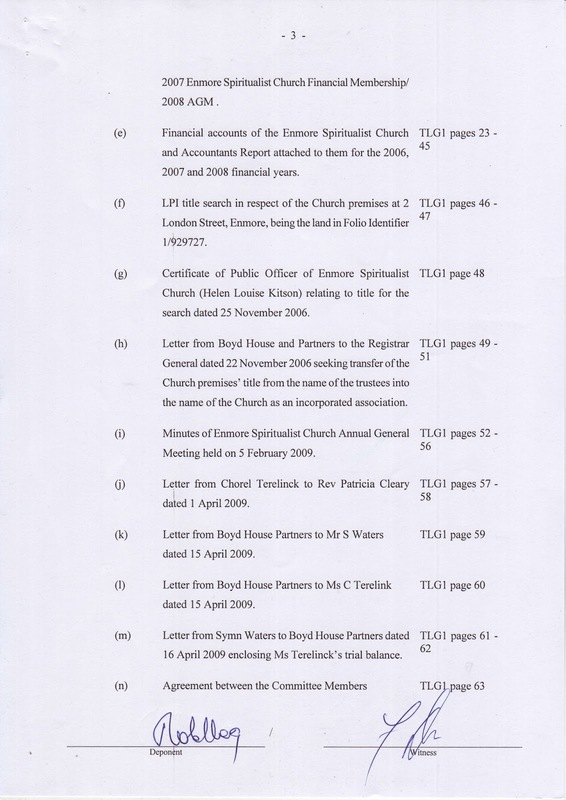 The Law Society, despite the contents of that affidavit and the other court documents, stated that Terry Goldberg acted for the church in the matter and dismissed all the complaints made about Mr Goldberg and refuses to explain that decision. 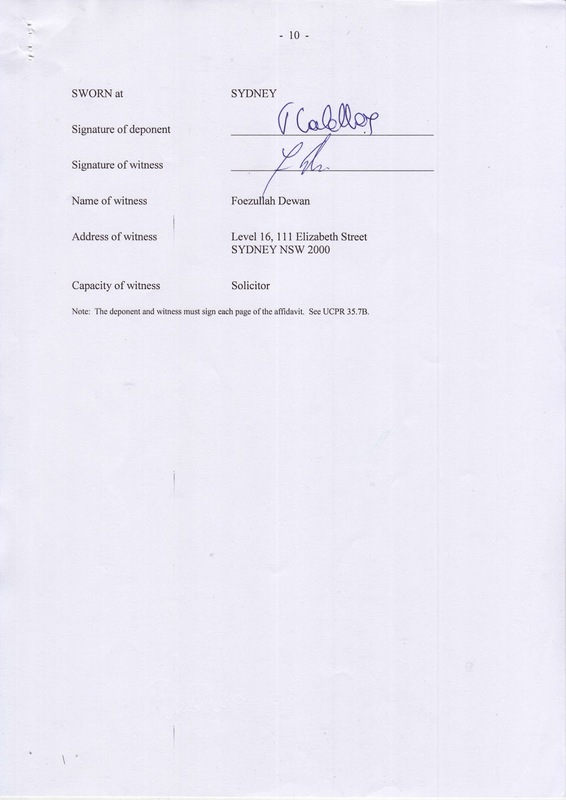 The full affidavit in pdf format can be downloaded downloaded here.